The Alma Inn, in Laneshawbridge, Colne, topped our online vote, with 35 per cent. The Seafood Pub Company serves offers fresh seafood daily, including devilled crab, tempura battered squid, butterflied king prawns and moules marinire. Spago, in Lytham, came second in our online poll, with 23 per cent of the votes. 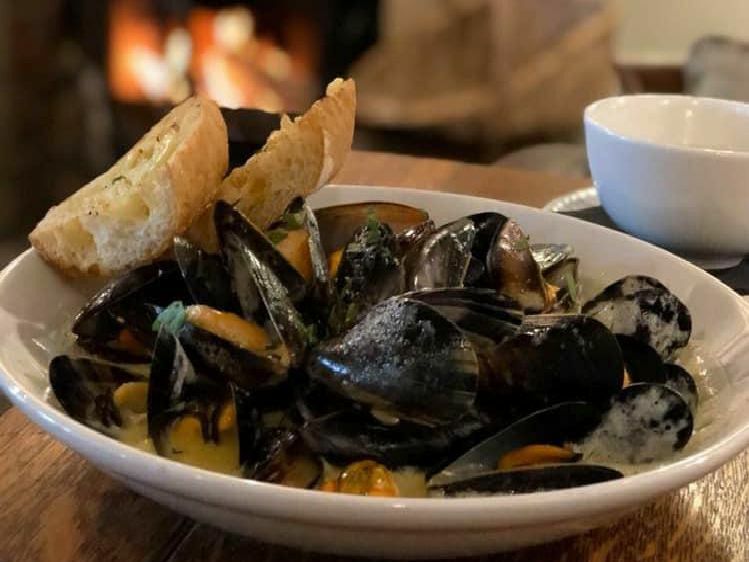 'The Mediterranean and seafood restaurant offers dishes such as calamari casserole, mussels with crispy chorizo, and a plateau de fruits de la mer for two. The Derby Arms, Longridge, is another Seafood Pub Company venue. 'Some of the seafood dishes include a platter which includes deep fried brie, mussels in white wine and garlic, devilled crab, salmon and shrimp, Chris Neves smoked salmon and sea salt croutes. The Trafalgar, in Fleetwood, is family-run restaurant. 'Popular in the menu is Trafalgars famous fish soup, as well as the mixed grill fish, which includes fresh fish and shellfish simply grilled with lemon and parsley butter.